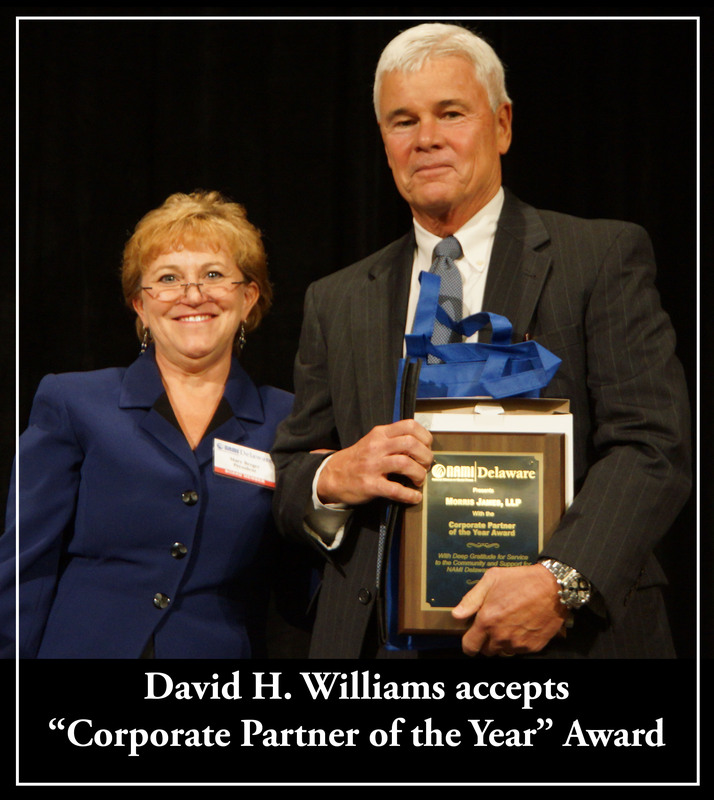 The National Alliance on Mental Illness (NAMI) of Delaware has recognized Morris James as its “Corporate Partner of the Year.” Managing partner, David H. Williams, accepted this award given in recognition for the firm’s service to the community and support for NAMI Delaware’s mission. National Alliance on Mental Illness (NAMI) is a nonprofit group that raises money and awareness for the treatment of people with mental illness. Over the past 13 years, a dedicated team of Morris James employees has raised money each year in the NAMI Delaware Walk. Margie Touchton, a long-term employee, has led Morris James’ effort which contributes money to fund people in group homes around the state. Partner Edward M. McNally has been involved with the organization for over 15 years and currently serves on the board of directors as Secretary, having served as president from 2006-2007.